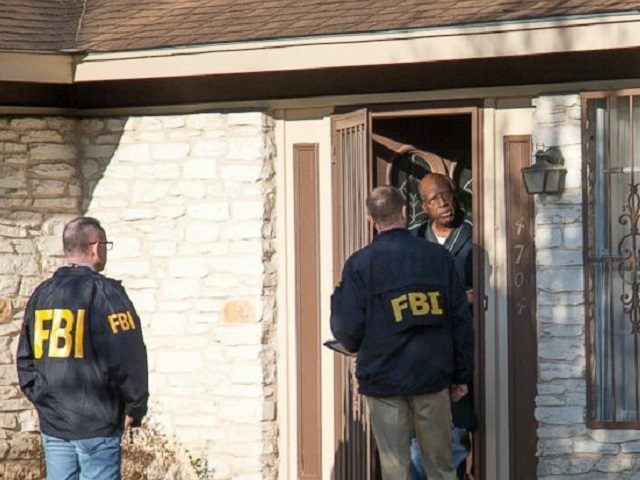 Police in Austin, Texas, are saying that three explosions of packages left on doorsteps of homes are connected. Two explosions occurred on Monday morning and a third happened on March 2. UPDATE 4:45 p.m.: Austin police report receiving 34 “suspicious package” calls between 8 a.m. and 3 p.m. This compared to only two received the Monday before, the Austin American-Statesman reported. Officials said the two devices that exploded today are not connected to the on-going South by Southwest Festival. Police also reported that the elderly woman injured in Monday’s second blast is in critical condition. Monday’s first blast resulted in the death of a 17-year-old boy and serious injuries to a woman in the same house. Two packages delivered to homes in the Austin area exploded on Monday. The first explosion on Monday killed a 17-year-old boy and seriously wounded a woman in her 40s, the Austin American-Statesman reported. The second woman sent a woman in her 70s to a hospital with potentially life-threatening injuries. Police received notice of Monday’s first explosion at about 6:45 a.m. at a home on the city’s east side. A resident found a package on his front steps and brought it into the house. The package exploded when someone opened it, Fox7 Austin reported. The explosion killed a 17-year-old boy and sent a woman in the home to the hospital with potentially life-threatening injuries. A few hours later, police received a call of another explosion at a home about five miles away. Travis County Emergency Medical Services reported taking a woman in her 70s to an area hospital with possible life-threatening injuries. It appears the packages were not sent through the mail or another delivery service but were left on the doorsteps of the homes, the Statesman reported. Austin Interim Police Chief Brian Manley warned the community not to take any package that is left outside their home inside. Authorities are not releasing any details about the devices but said they know what type of explosives were used. 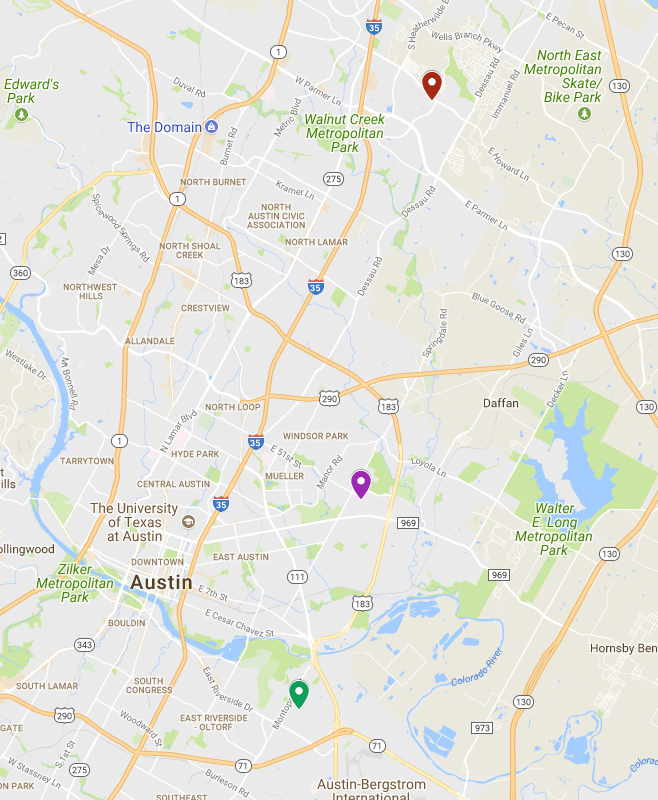 Map of Austin package explosions. On March 2, an explosion of a package killed an Austin man in his 40s, the Statesman reported. The blast occurred in northeast Austin–about 12 miles north of Monday’s explosions. The chief said he is not ruling out the possibility of a hate crime as at least two of the explosions involve black victims. First and foremost, Cecilia and I offer our thoughts and prayers to the victims of these atrocious attacks. I want to assure all Texans, and especially those in Austin, that local, state and federal law enforcement officials are working diligently to find those responsible for these heinous crimes. As the investigation continues, the State of Texas will provide any resources necessary to ensure the safety of our citizens, and quickly bring those guilty to justice. The governor’s office announced a reward of $15,000 for information leading to the identification and arrest of the person or people involved in these explosions.